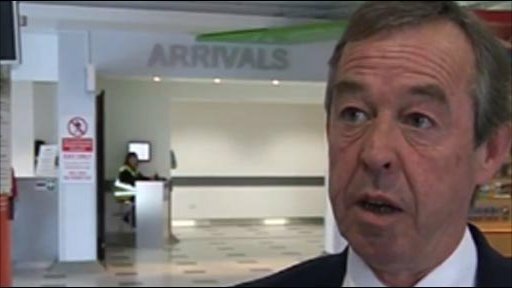 Brian Flynn maintains he still wants the Wales managerial job on a permanent basis despite losing both his Euro 2012 qualifying games in caretaker charge. Wales are looking for a replacement for John Toshack who stepped down last month after six years at the helm. Tuesday's 4-1 defeat to Switzerland and Friday's 1-0 loss to Bulgaria under Flynn have left Wales bottom of Group G with no points after three games. "It's the best job and you always must go for the best job," he said. The Football Association of Wales will meet on Thursday to formalise their plans to appoint a new full-time manager for the national team - and they hope to fill the vacancy before Christmas. The Welsh FA now have five months before their next 2012 European Championship home qualifier with England on 26 March. But the FAW want a permanent replacement for Toshack well before their next competitive international which is their Carling Nations Cup opener in Ireland on 8 February. A Welsh FA managerial sub-committee are expected to invite applications for the role vacated by Toshack after Wales' opening qualifying defeat in Montenegro. Former Wales striker Ian Rush has declared an interest in succeeding Toshack - but the record-breaking Welsh goal-scorer has not managed since leaving Chester City in 2005. Rush is bookies favourite as the Liverpool legend knows new FAW chief executive Jonathan Ford from Ford's previous employment. One-time Fulham manager Chris Coleman, who was sacked by Championship club Coventry City in May, and former Wales and Celtic striker John Hartson, who has no managerial experience, have also said they want the Wales job. Flynn, who has been hailed for his work in Wales' youth set-up since Toshack appointed him six years ago, insists he has been informed his name would be on the shortlist. "Who knows what the future brings?" admitted former Wales midfielder Flynn. "That will be decided in the future. I'd like to be part of it, obviously so. I've had a taste of it now and it's something I want to continue. "I've been made fully aware that there will be a shortlist and there will be interviews - and that's how it is at the moment." Flynn, who had previously had three unsuccessful interviews for the top job in Welsh football, had been in charge of Wales' widely-regarded youth set-up and has helped the likes of Gareth Bale, Aaron Ramsey, Jack Collison and Chris Gunter into the senior team. Flynn also transformed a Wales Under-21 side that failed to win a game in 26 attempts between March 1997 and October 2002 to one that narrowly missed out on the 2009 European Under-21 Championships and went so close in the 2011 qualifiers. But Flynn was without 12 senior players in Basel on Tuesday as Ramsey, Collison, Gunter, Joe Ledley and captain Craig Bellamy were unavailable for various reasons. Wales have suffered their worst qualifying start of three straight defeats in a European Championships qualifying campaign. "We've got a tight group and the players have done all they can for me, I can't ask for no more," said Flynn, after Tuesday's humbling in Switzerland. "Unfortunately results have proved difficult." Should 55-year-old Flynn miss out on the job, he says he would still like to continue working in the youth set-up. "I've not worked for six years to throw it away, that's for certain," said the ex-Swansea and Wrexham manager. "The president Phil Pritchard said at the start of my caretakership that I will maintain my position come-what-may and that's how I look at it." And Flynn praised some of the youngster who have come through and played under him in the last two Euro 2012 qualifiers. "There is talent in there," he added. "It's realising that talent and taking it on and becoming a winning team. "It doesn't happen overnight, I desperately wanted it to, we gave it everything." Flynn added of the 4-1 defeat in Switzerland: "It was never a 4-1 defeat. Unfortunately key moments in the game changed it. "I thought we were excellent in the first half despite the two goals. They were sloppy goals for us, I think we could have dealt with the problems."